I have been invited to join O, THE OPRAH MAGAZINE’S ELITE BRAND AMBASSADORS, but as usual, all opinions are my own. If you know me, you know every year I make a vision board which will guide my vision for the new year! I’ve been an Oprah Fan since I moved here in 2001. So many things I love about her, I would spend the whole day talking about it! Three years ago I added her name to my vision board, I secretly wished to meet, collaborate, work and somehow have my journey be intersected by her energy! My real dream was to meet her!! Yes, I confess!! But when I received the email two weeks ago that O, The Oprah Magazine had completed its first-ever search for their most social, influential and engaged O fans – who would become their on-the-ground influencers and extensions of the O Magazine brand – and I was one of them, it was my A-Ha moment!! I was one step closer…. My history with Oprah goes way back, she was my best friend when I was a stay at home mom and watched her while my son was napping. She introduced me to the “Secret”, she taught me that your thoughts and feelings dictate your outcome, actually there were so many lessons! She helped me grow as a woman, mom and enterpreneur. Somebody asked me “Who are they?”. 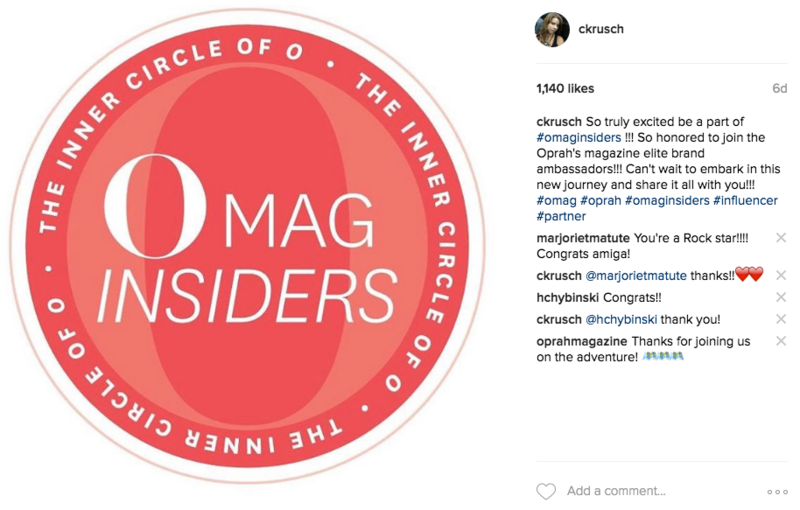 The #OMagInsiders are Entrepreneurs, moms, doctors, yoga instructors, TV/radio personalities, authors, nonprofit founders, and tastemakers – and they’re all in O’s Inner Circle. I’m truly so honored to be a part of it and can’t wait to share my journey with you! What I know for sure … is that it will be a beautiful journey, enriched with amazing surprises, because that’s how the OMag does it!! Are you an Oprah fan like me? Do you love her magazine as well? Can’t wait to hear your thoughts! As usual, give us a Trendy Shout! Congrats this is so exciting! I can’t wait to see all the fun you get to have! Congratulations! Sounds like such a special honor! I watched Oprah all the time when she had her talk show. How nice. Her magazine is so very inspiring and covers so much ground. Good for you. Congratulations! Congrats! I love Oprah and actually went to Australia with her as an Ultimate Viewer. It was a once-in-a-lifetime experience that still feels surreal to me so I totally relate to your feelings! That is so awesome for you! I have been a big Oprah since the beginning and loveher magazine! Congrats.I am so excited for you and so honored to call you friend. This is going to an amazing year for you. Congrats! Who doesn’t love Oprah? 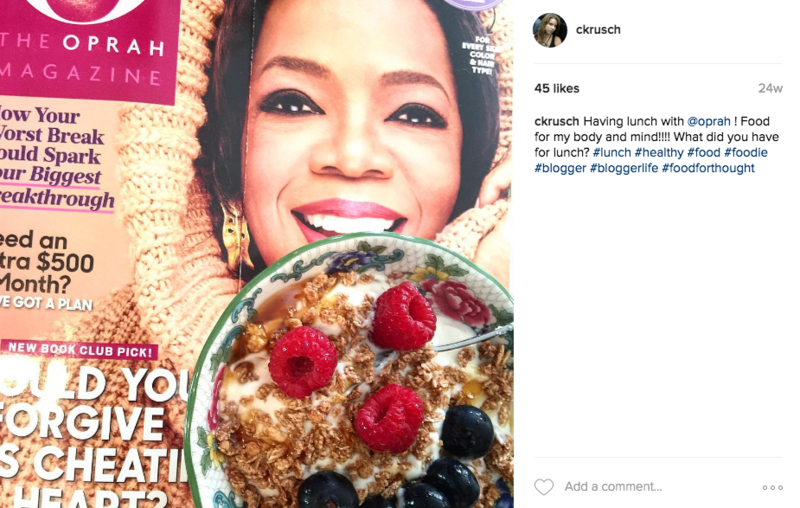 I can’t wait to follow along with you and check out more of the O magazine. Wow, how exciting, congratulations! You should be so proud of yourself, this is a huge honor! Congratulations! That sounds like so much fun! Congratulations to you. I have been an Oprah fan for over 22 years (when she was still in Chicago). She sure understands her audience. Oprah touches so many people in so many ways. Congratulations on being chosen and I can’t wait to read about it. Congratulations! I cannot wait to see more of your partnership with O! Mag this year! Congrats on becoming an O-Mag insider! I can’t wait to follow your journey and see all you have to share with us, her magazine is great! That is great! Congratulations! That would be a tremendous opportunity. I am a little jealous right now. But, I hope you get to meet her someday. This is amazing! What a fabulous opportunity! 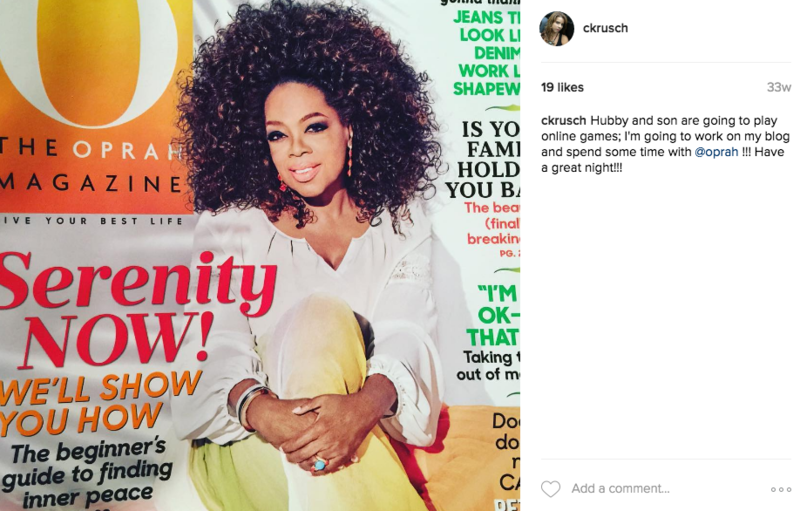 I love O Magazine… Oprah in general! Congratulations on this new adventure! I have read O Mag in awhile but used to love it! This is so fantastic! Congratulations! Who doesn’t love Oprah. Hopefully you will get to meet her someday. Congratulations on becoming an ambassador for O Magazine. It is such a great magazine. Congratulations! Can’t wait to see all of the amazing that this brings to you. I will look forward to reading all about it. You must be over the moon excited. This is such an amazing opportunity for you. Congratulations! This is such a great opportunity. I can not wait to see all that it has in store for you! What a great opportunity! It sounds like this was a dream come true for you. Oprah does have so many wonderful qualities. One of the best is her generosity. Congrats on your ambassadorship! What a great program! I love Oprah and her magazine! Congratulations. I hope that you really enjoy this opportunity. May youur dream to meet Oprah come true, and that the experience will be even more wonderful that you could ever imagine. This is such an amazing opportunity! I’m so excited for you! Congrats! That is so awesome. I can’t wait to hear more. Congratulations! I would watch when I got home from school. I always wanted to be on the Favorite Things episode.